Going for a ride around the Ocean Drive is another one of my favorite things to do in Newport. 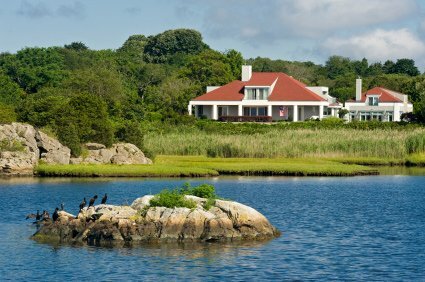 No matter how many times I've seen it, I never cease to be amazed at the beauty of all the homes out there, and the breathtaking views of the Atlantic Ocean they enjoy. 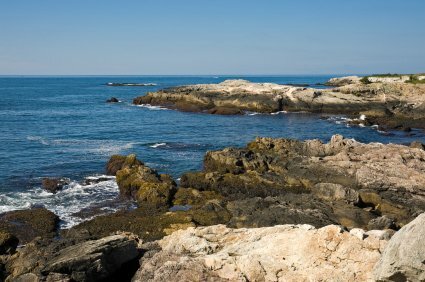 This scenic drive, also known as Ten Mile Drive, (or just "The Drive" to locals) encompasses most of the southern coastline of Aquidneck Island. 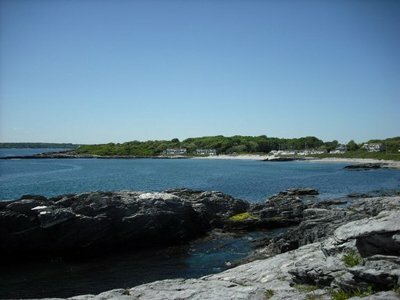 This area used to be farmland, but today is one of the most popular Newport RI attractions. Once you're out here, it's very easy to see why. Although you could spend a whole day just enjoying the stunning views, there are many other things to do out here. 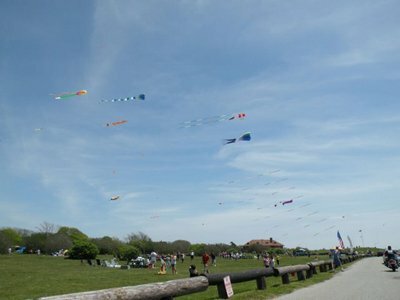 This is one of the best spots in Newport for bike riding, running, kite-flying, picnicking, fishing and scuba diving. If you love to swim and sunbathe, but want to avoid the crowded beaches, there are a number of good spots to do so around "The Drive". 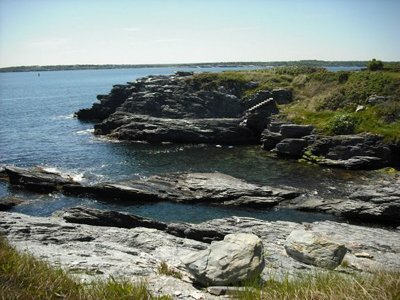 One spot you can try is down on the rocks a little past Castle Hill Inn & Resort. If you're driving, you can park in the Brenton Park lot, then cross the street and take one of the paths down to the rocks. There are some good flat rocks you can lay out on, and you can even enjoy a little privacy in certain areas. When you're ready to cool off you can dive right into the water. Be sure that you pick a spot in the water that's a little deep so you don't dive into the rocks under the water. Also, remember that you're in New England, not Florida. Unless it's August or September, the water is going to be cold! 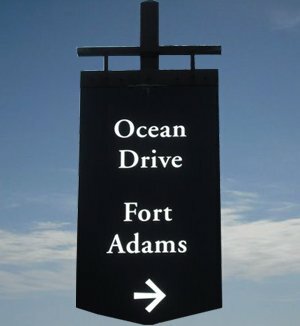 You can start your scenic ocean drive from many points, but there are two easy starting points on either end of the drive. If you're closer to downtown Newport, then start at the intersection of Thames Street and Wellington Avenue (see map at bottom of page). 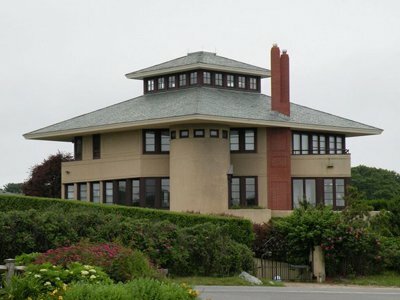 If you're closer to Bellevue Avenue and the Newport Mansions, then start at the very end of Bellevue Avenue, at the intersection of Ocean Avenue and Coggeshall Avenue (see map at bottom of page). 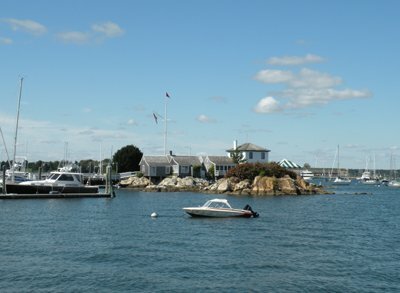 Beginning from Thames Street, you'll see many sailboats in Newport Harbor, and Ida Lewis and New York Yacht Clubs on your right. After you pass the yacht clubs, just keep making right turns and follow the signs for Ocean Drive. 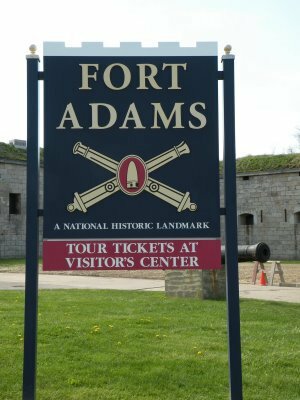 The next major attraction you'll see will be Fort Adams State Park (home of the legendary Newport Folk and Jazz Festivals). 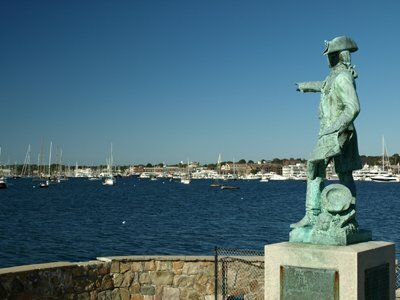 There are a number of things to do and see here, including touring Fort Adams, the Museum of Yachting, Sail Newport and President Eisenhower's summer White House. 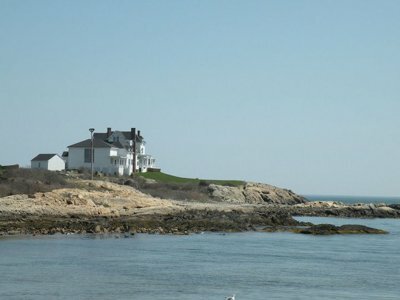 After Fort Adams, you'll pass Hammersmith Farm, Ocean Cliff Resort, the U.S. Coast Guard Station and the Castle Hill Inn & Resort (a great place for Sunday Brunch). 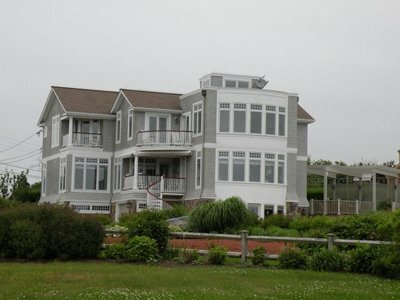 Now you'll begin to see some amazing waterfront homes and spectacular views! On your left you'll find Brenton Point State Park. You can park here for free and enjoy the ocean view for as long as you like. 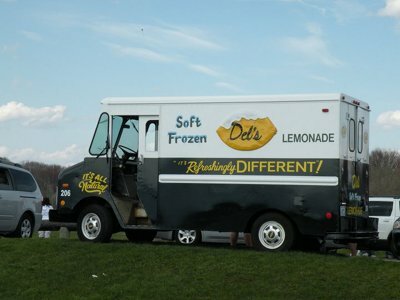 You can also picnic here, watch or fly your own kites and enjoy a lemonade when the Del's truck comes by. 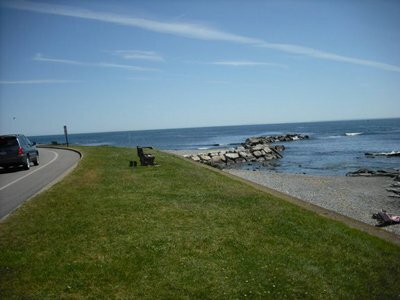 Directly across the street from Brenton Park, you can sit on a bench (or bring your own lawn chairs) or on the edge of the wall, and relax while watching the waves crash onto the shore. 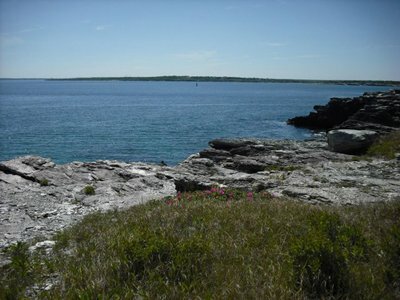 As I mentioned earlier, this is also a great spot to sit out on the rocks and sunbathe, read a book or do some cliff diving. Just be careful out on the rocks! They can be very slippery. 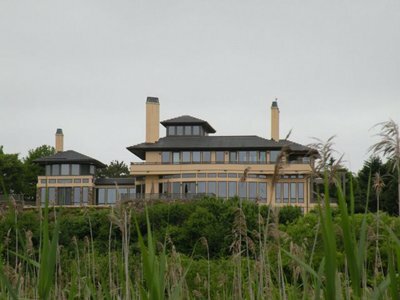 For the next few miles, you'll be treated to one of the best up close and personal views of the Atlantic Ocean, and the monstrous homes built on the cliffs overlooking it. You'll know you're getting towards the end of the Ocean Drive when you approach Hazard's, Gooseberry and Bailey's beaches on your right. Hazard's and Bailey's are private, exclusive beaches. 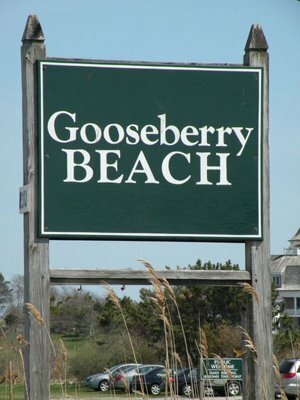 Gooseberry is open to the public, but only members may use the beach club facilities. Once you pass Bailey's Beach, make a right, and you'll be at the southern end of Bellevue Avenue. From here, it's only a couple of miles back to the center of town. Or, if you haven't already seen them, you should definitely check out at least one of the Newport Mansions. 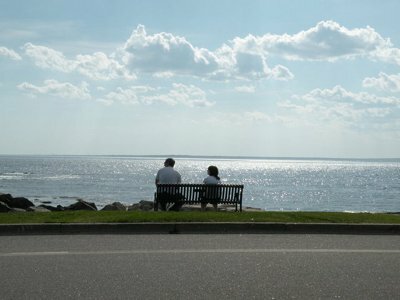 If you visit Newport Rhode Island, seeing the Ocean Drive is another absolute must for your things to do list! You wont' be disappointed. Here's some panoramic shots for you to check out until you can get here to see it for yourself. Click on each image to see the larger view. Click on any of the placemarks to view more information on each spot.